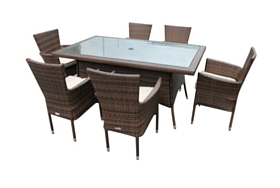 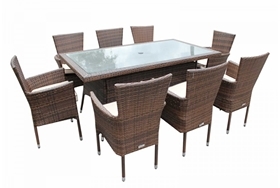 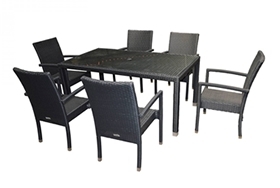 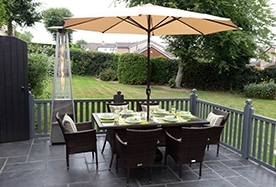 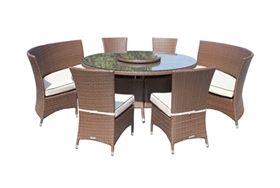 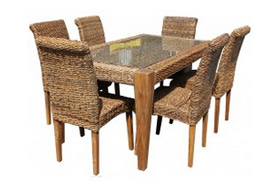 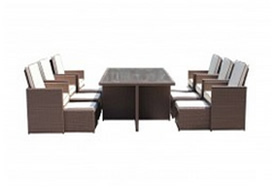 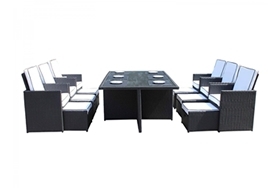 Luxury 5 piece Rio rattan dining set: small round table with 4 stacking chairs in black. 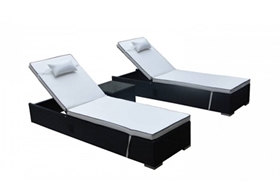 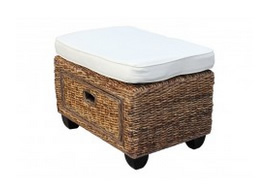 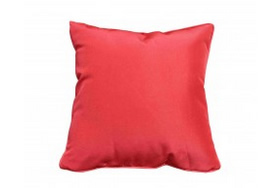 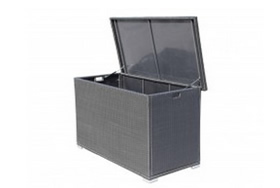 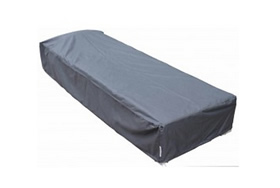 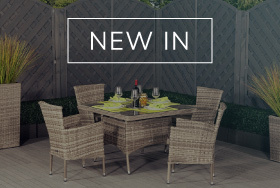 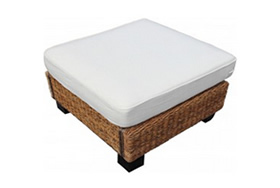 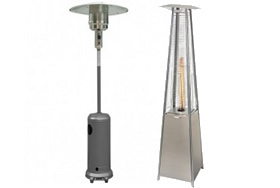 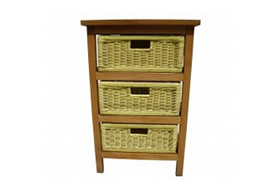 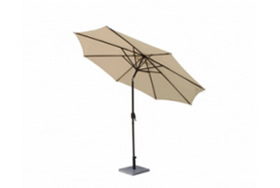 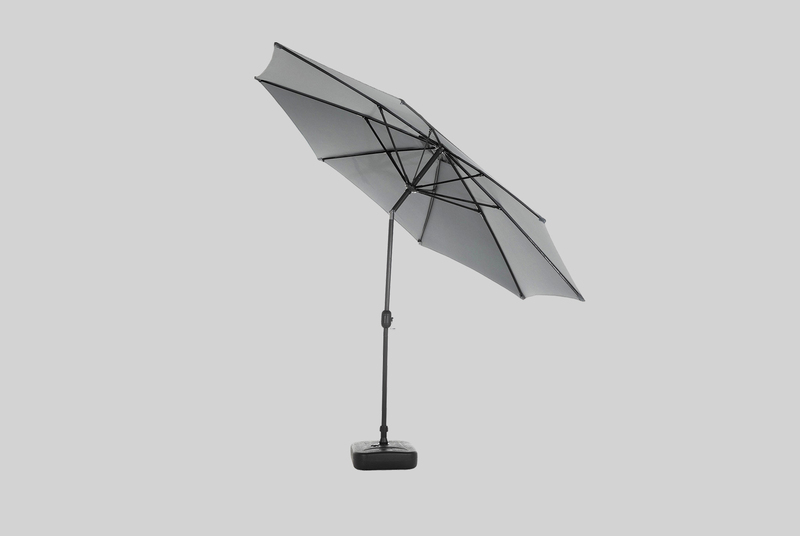 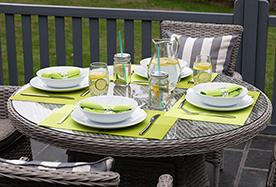 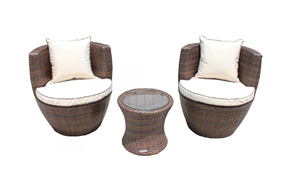 Ideal for the summer garden, balcony or patio. 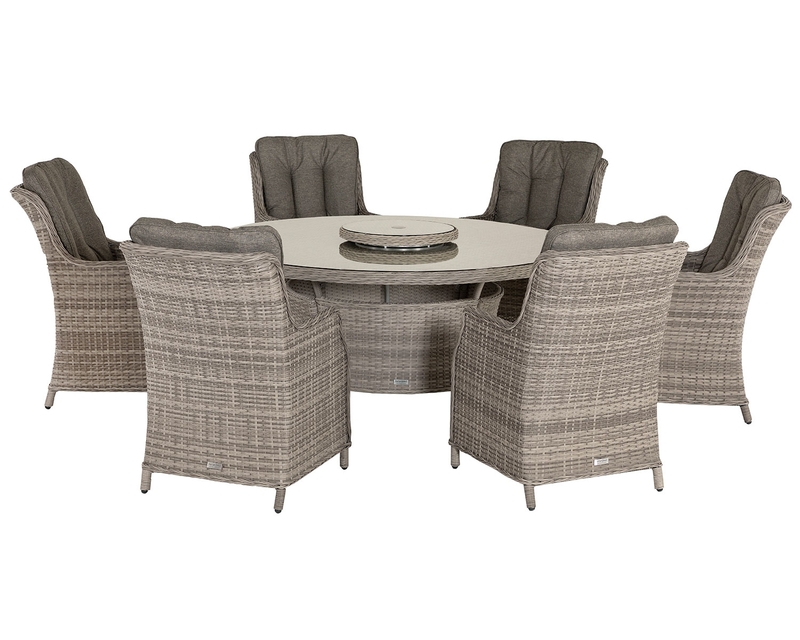 The Rio dining chairs are stackable so they can easily be stored away. 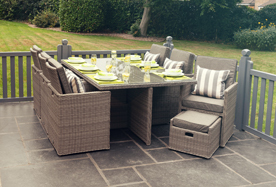 Great for summer parties and BBQs. 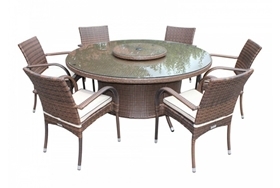 Includes 4 armed chairs and small round dining table. 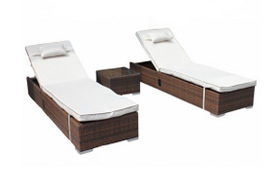 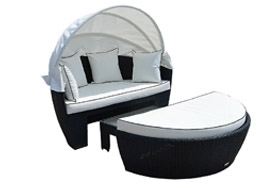 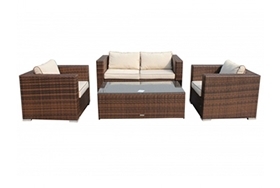 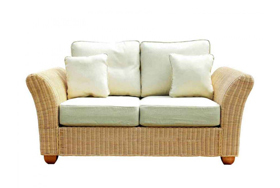 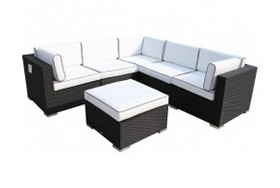 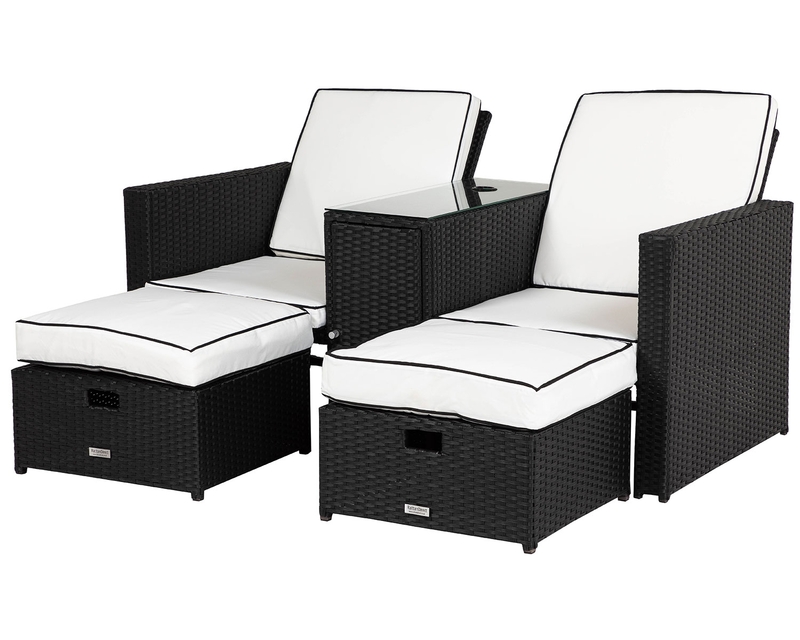 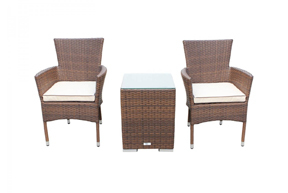 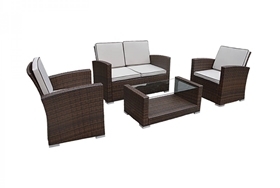 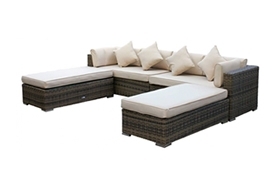 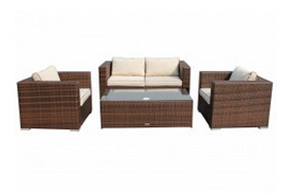 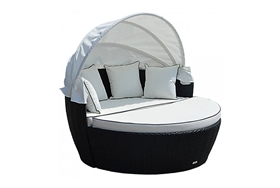 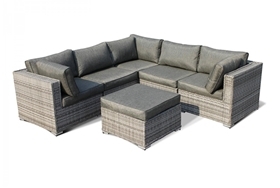 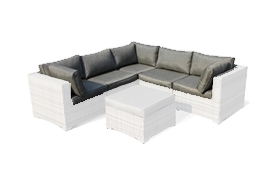 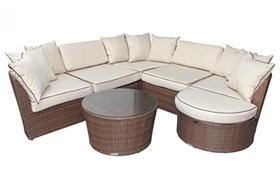 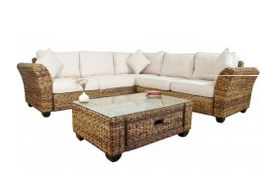 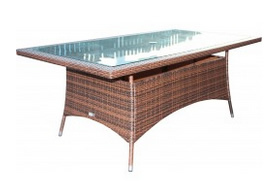 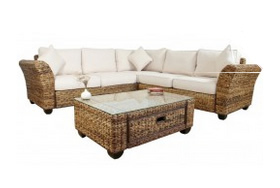 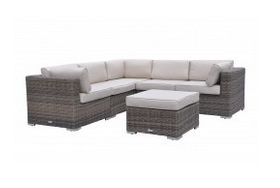 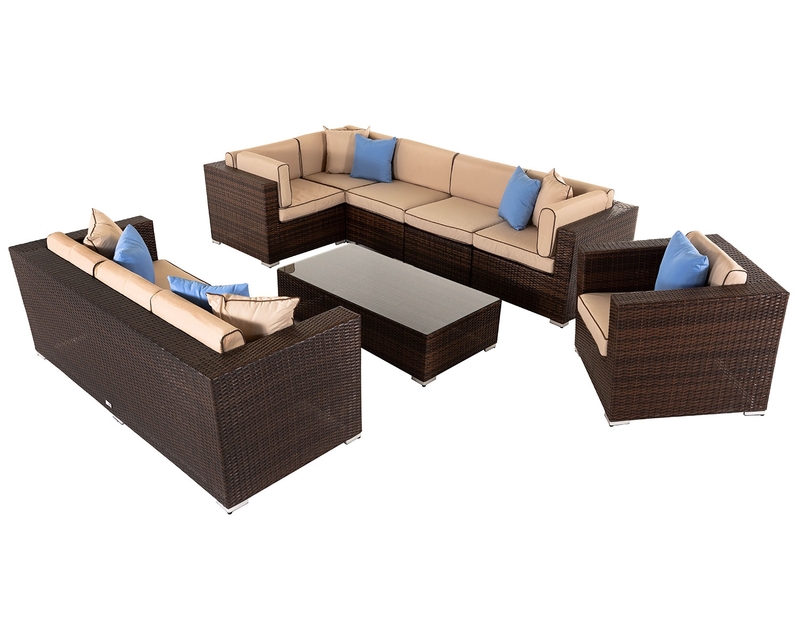 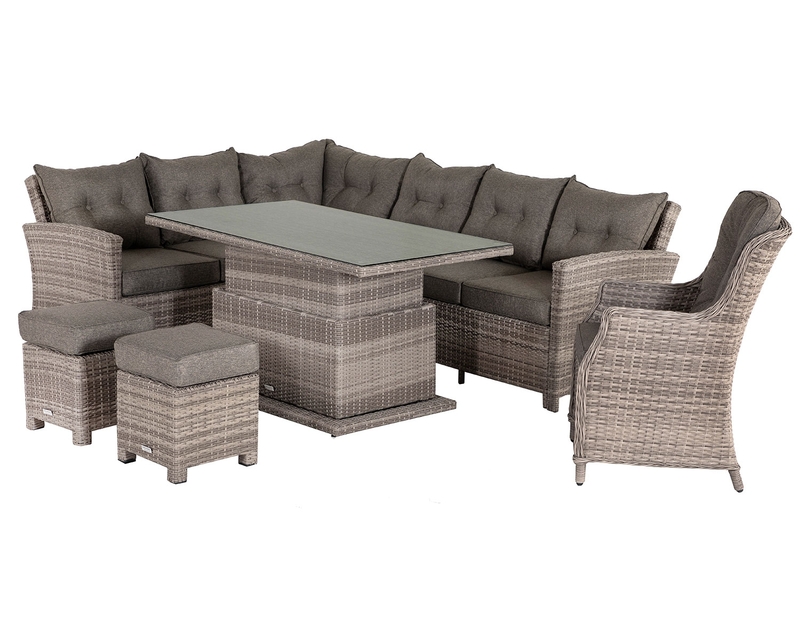 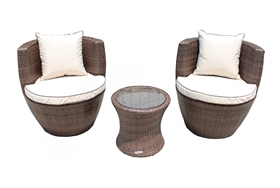 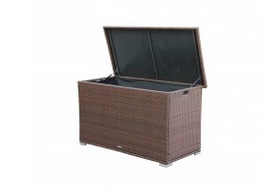 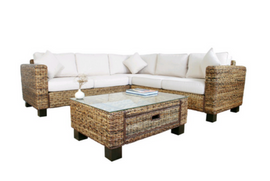 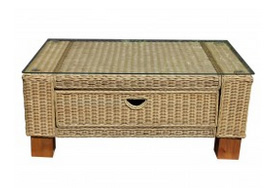 Matches our other outdoor rattan furniture.